I can finally show you what I’ve been up to lately. It was my sister’s birthday recently and she had mentioned ages ago that she was looking for a new knitting bag. So I just had to make one and hope that she didn’t buy one in the meantime. I did consider giving her one of these three bags that I’d made earlier but decided that she had already seen them and that a knitting bag should be bigger than these. Then the scraps of a Bali Pops jelly roll were calling to me. My sister had actually bought the Bali Pops for me (for my birthday) and I’d already made a quilt top from them. There was still plenty left and I had some lovely matching solid fabrics to go with them. Maybe, she wouldn’t like the idea of me using a present from her to make something to give back…hmm. I decided I was only using the scraps and that way she would be getting fabrics that I knew she would love otherwise she would never have bought them for me in the first place . 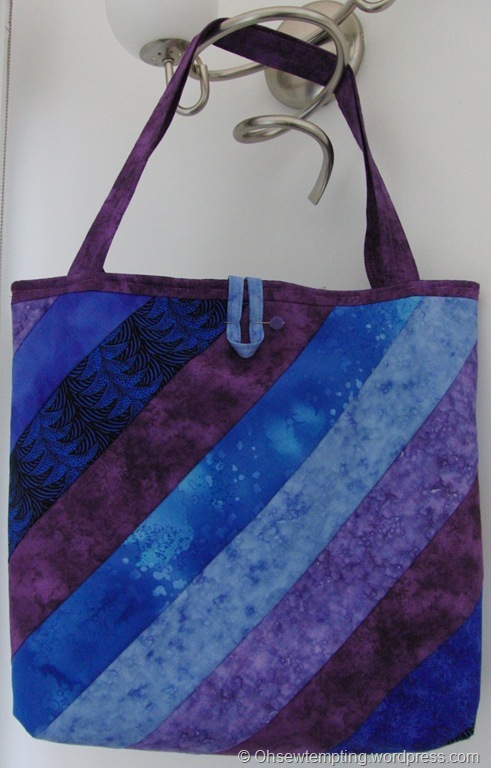 I searched the internet for a bag pattern that was just right. However, I wasted a lot of time. I just couldn’t find anything the right size with all of the pockets that I wanted etc. After several days of thinking, sketching, measuring and head scratching I came up with this. 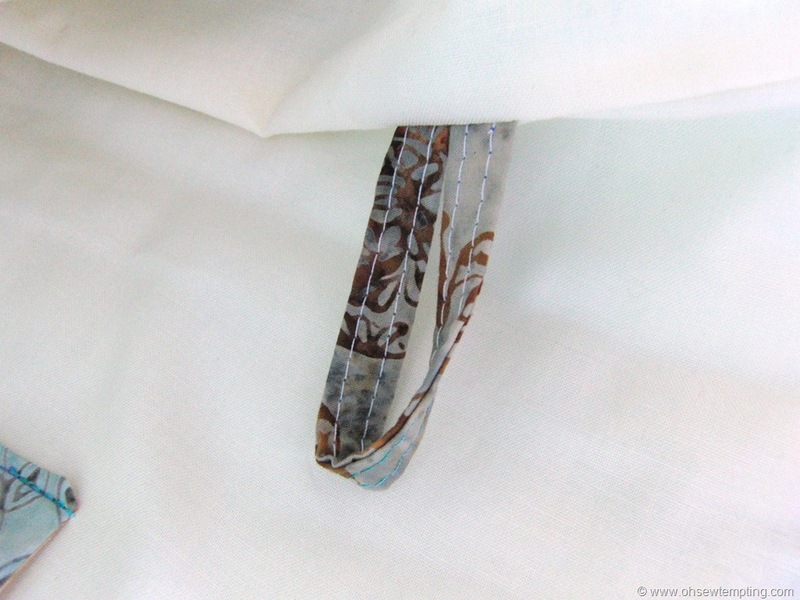 There are three pockets behind the batik fabrics panel on each of the front and back. The middle pockets are the perfect size for knitting patterns or books. The base is flat and large enough for the knitting to lie down, even if it is on large chunky needles and there’s plenty of room inside for all of the yarn for a whole project. 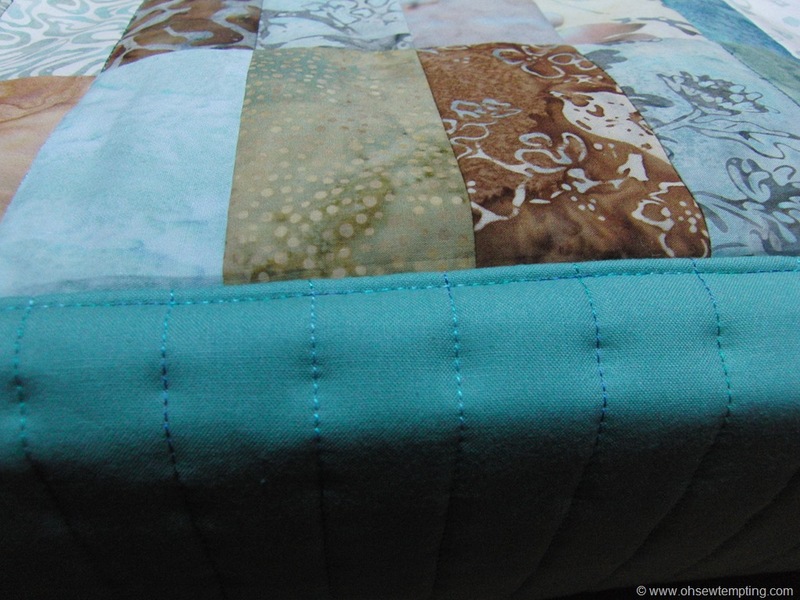 I used straight line quilting so as not to compete with the gorgeous fabrics. 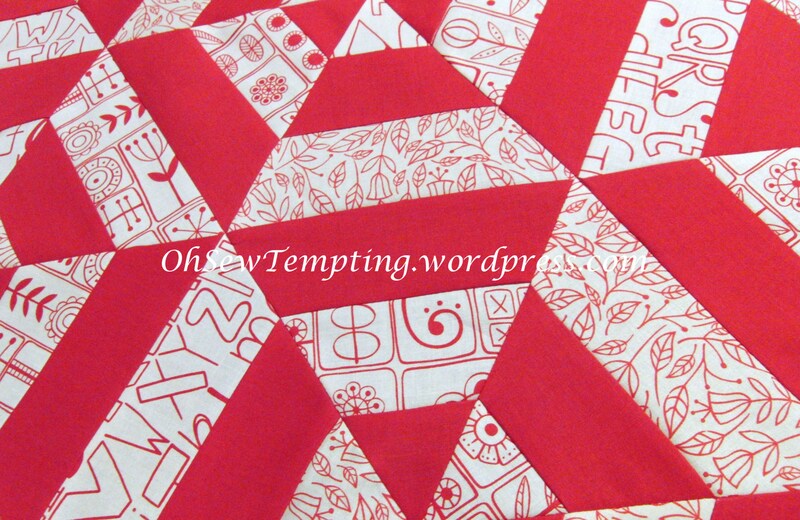 The quilting continues on the wrap-around base. There are two lined patch pockets inside. One is big enough to take large scissors and the other is for buttons etc. Plus I added a loop at each side to thread the yarn through. 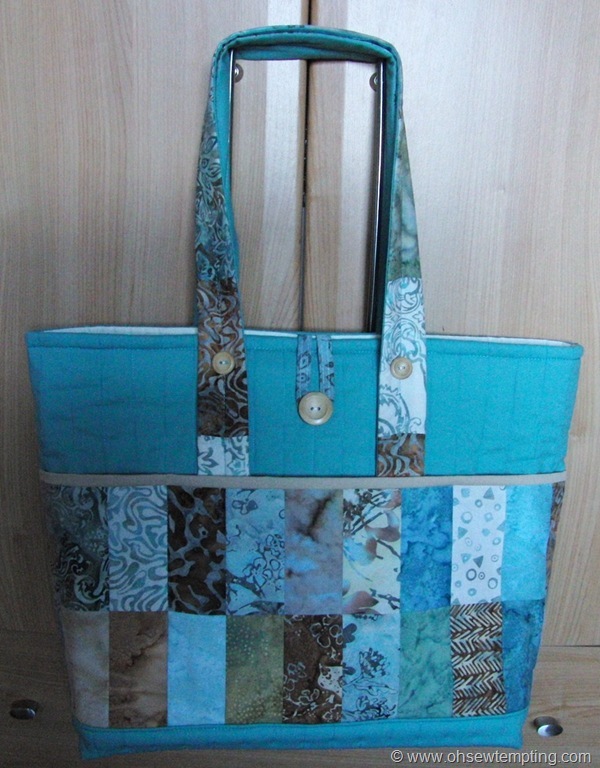 Once I’d decided how I wanted the bag to look and how to put it together, the sewing part was easy. The bulk of the work was in the design process. 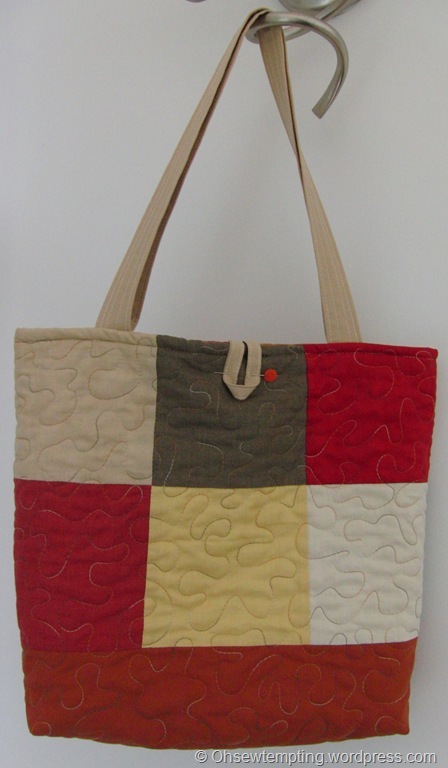 I’ll definitely make more bags like this one. My sister really liked it which was good news too. That makes me very happy . I’ve caught the pinwheel bug again! Good evening everyone 🙂 I hope you are all well! I’ve got a couple of projects to share with you today. I’m longing for Springtime and the pink is reminding me of the thrift flowers that should, by now, be starting grow on the cliff tops where I live. There is no sign of even the plants let alone the flowers! It is so cold. The crows are usually nest-building in the garden this month and there is no sign of any such activity. 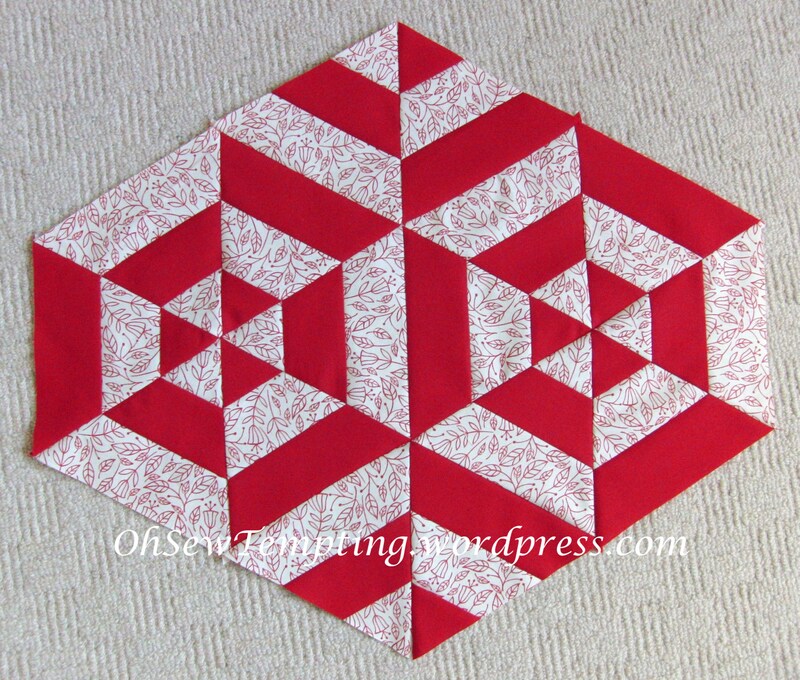 I’m linking with WIP Wednesday over at Freshly Pieced. Did my title conjure up thoughts of summertime? Sorry to disappoint 😉 I am supposed to be away on a camping holiday but the UK is still in the grip of winter so we’ve cancelled. What a shame! 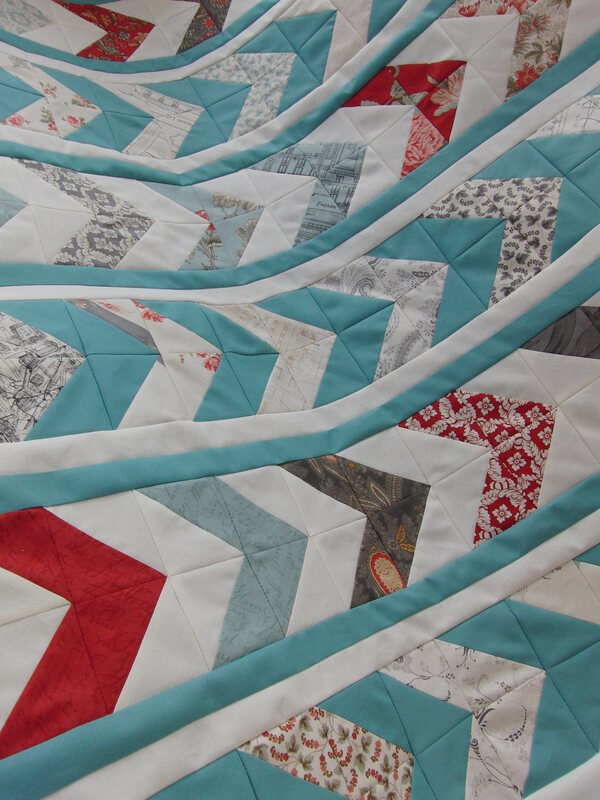 I’ll just have to stay indoors and do patchwork. The strawberries and cream I’m talking about are the colours of my lovely fat quarters which you might recall here. They were a Mother’s Day surprise from my daughter. She chose well! 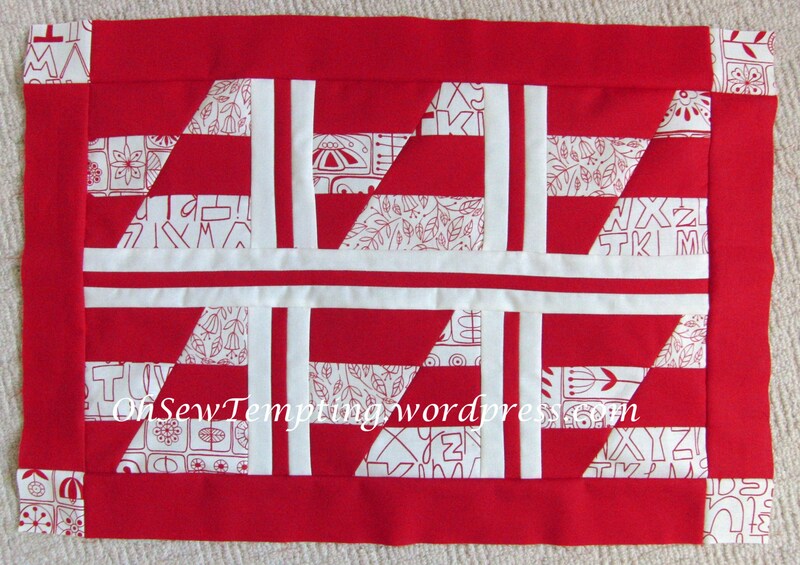 Three different prints and three fat quarters of red (I added one which I already had in my stash) have been sewn together to make this quilt top. 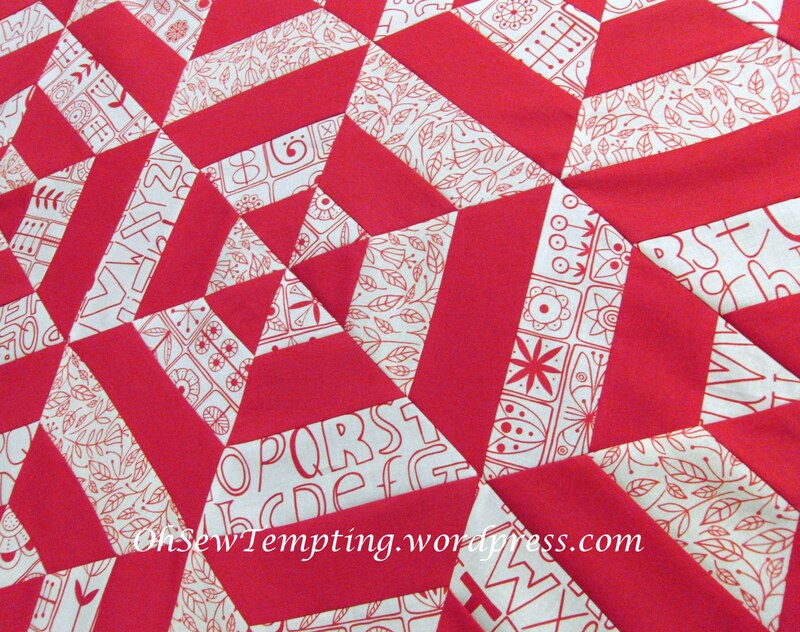 Does a lap quilt have to be square or rectangular? 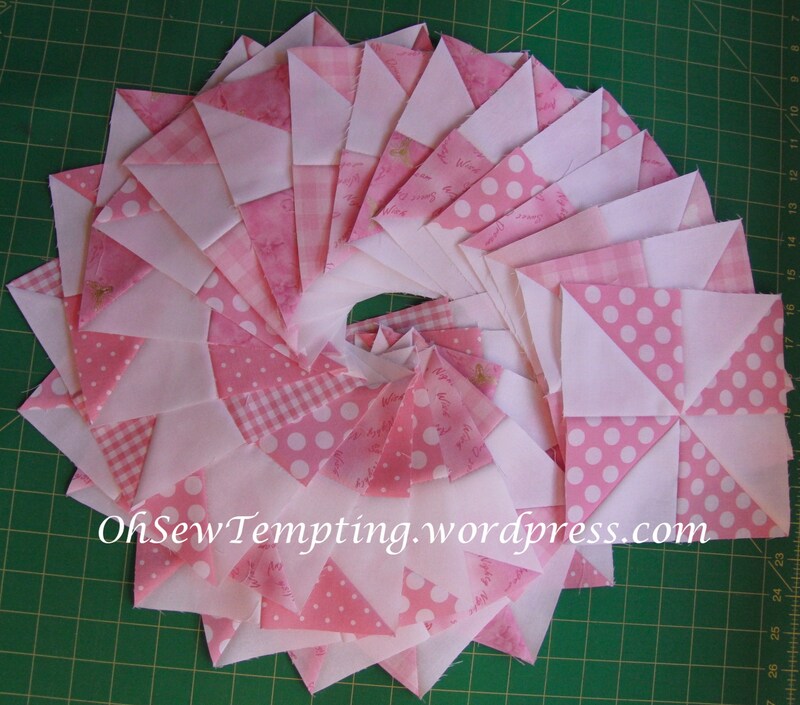 There I go breaking rules again 😆 I did actually have the pieces laid out to make a rectangular quilt and was measuring up to add the filler pieces down each side…..but I managed to stop myself and do something different. Actually, this would make a lovely table topper if you had a huge circular table….just a thought. Well, I’ve had a lot of fun doing all the maths and deciding what to make. 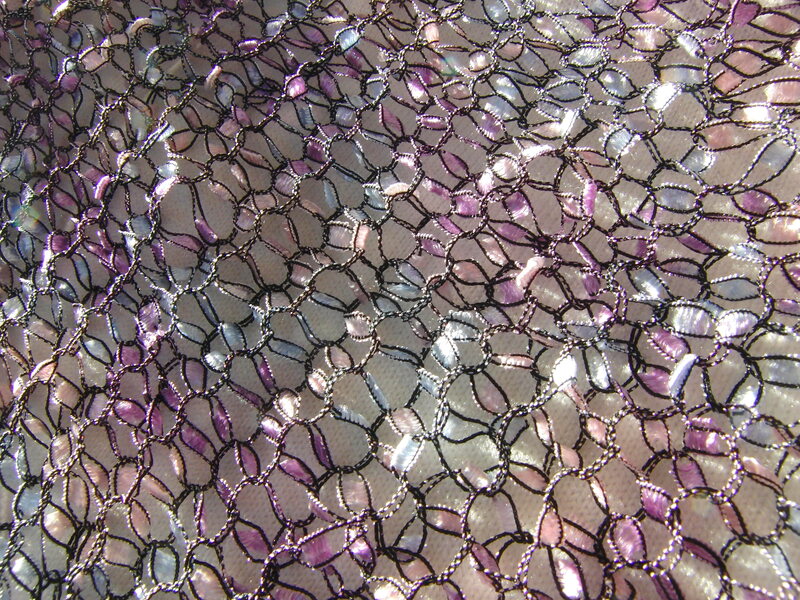 This little number stitched together like a dream. 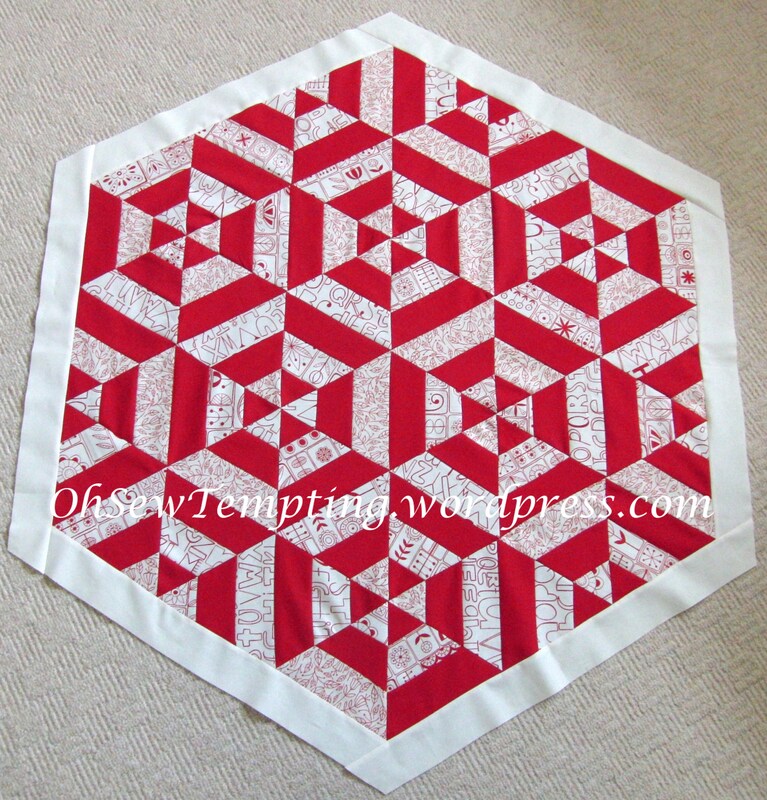 With the extra fat quarter print and another of red I made a table topper. I’m going to enjoy binding these different shapes. And then I had scraps! 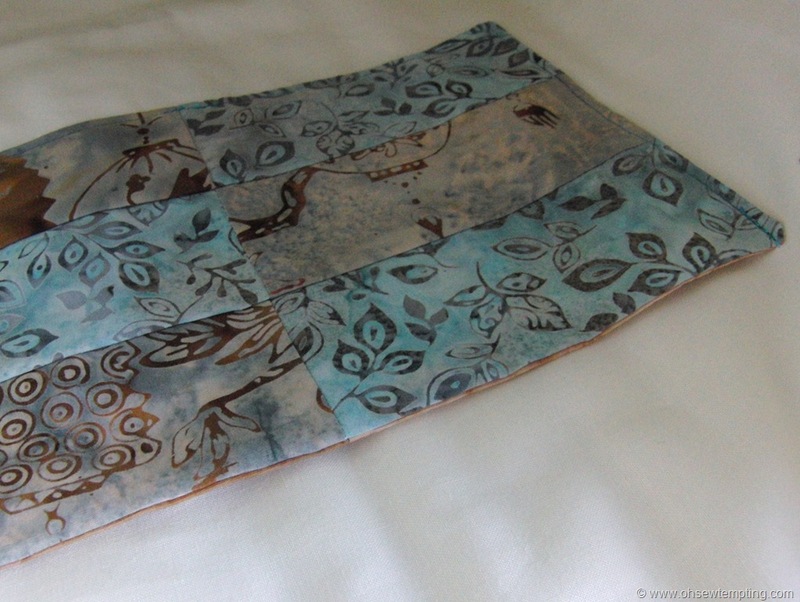 I can’t bear to have scraps 😉 so I made a pillow sham front….or is it another table topper? Who knows. I listened to BBC Radio 4 while I was sewing. I prefer spoken radio to music. Do you listen to radio when you are crafting? The wool for Mum’s hats arrived yesterday so I have started to knit. Here is a progress update. I did this while watching TV last night. 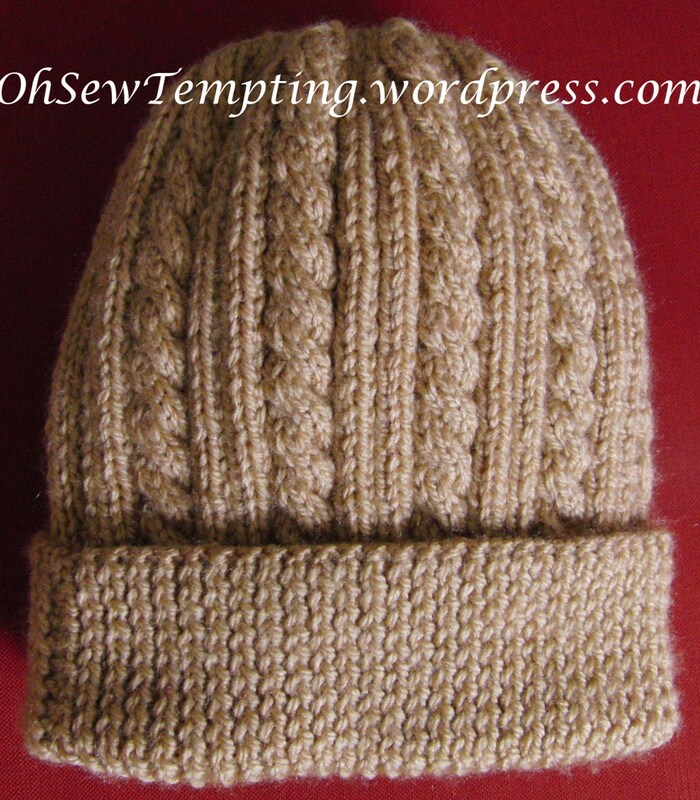 I’m knitting the hat in the photo at the bottom of the page but without the pom-pom. Mum doesn’t like pom-poms. I need 5 inches of rib and I’ve done 4 inches so far. This one will match Mum’s winter coat and the garnet red one, which will follow, will match her fleece jacket. It seemed wise to start with the camel one as winter is refusing to leave us at the moment. It feels so good to be on holiday after such a long stretch of work and family commitments. I’ve had two whole days to play and I’ve thoroughly enjoyed every second. Hopefully you have had lots of crafting time too. I’m off to catch up on reading my favourite blogs. I can’t wait to see what you have all been up to. Then tonight, I’ll be knitting some more. I’m linking with Fabric Tuesday and Linky Tuesday 🙂 Thanks to my lovely friend Teje for reminding me! I’m not a cat lover….honest! We are very close to the end of 2012 now and I won’t be making any New Year resolutions. However, in 2012 I rediscovered my love of knitting and crochet which I had put to one side for many, many years. The ripple blanket which I started to crochet and the scarf I knit for my sister’s birthday have helped to rekindle my enthusiasm for the crafts I had put into hibernation in favour of quilting. So, when I saw these, I just had to make them! I have no idea why, they just purred “Make me”. Meet Yin and Yang 🙂 The pattern is available here. I have no idea why I wanted to make one of these let alone two of them! I don’t really like cats and they definitely don’t like me 😦 These two are being rehomed very soon as I have no desire to have cats in my house but they were so much fun to make. Like I said, the intention was to only make one. My other half cannot believe I have made cats and heaved a huge sigh of disbelief with a shaking of his head when I announced they had names he-he 😆 Isn’t it great when making things gives us so much pleasure and the only cost is a little time while watching telly? I’ve really enjoyed reading all of your lovely blogs this year. My blog was one year old on Friday and I’m surprised that I’ve posted over one hundred times. The blogging community has been so positive with their comments and support and I am so glad that my daughter persuaded me to start writing this blog (it did take her quite a while). It was only really meant to be a record of my craft projects as I made them but it has turned into so much more! To all of my friends around the world……Happy New Year 😀 I hope 2013 is wonderful for you and all of your families and that you will continue to visit my blog often. I will certainly be reaching out for even more inspiration by reading all of your fabulous blogs. I’m off to quilt now! 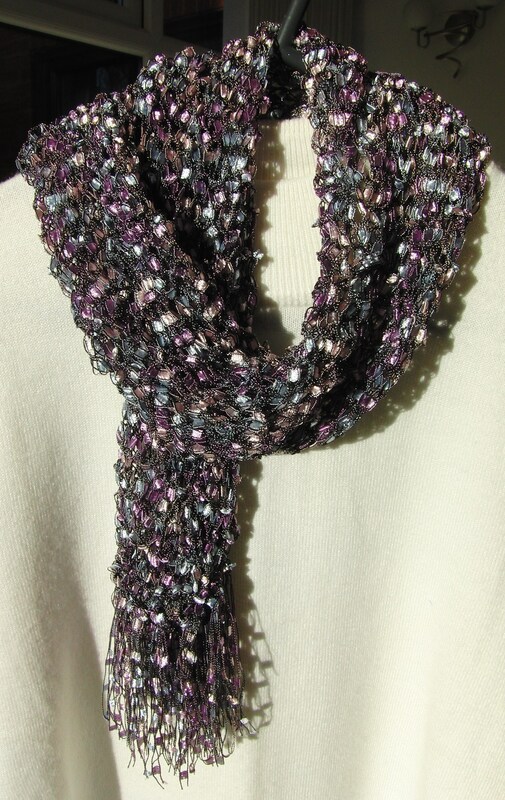 At last I can reveal my sparkly scarf project which I made for my sister’s birthday. 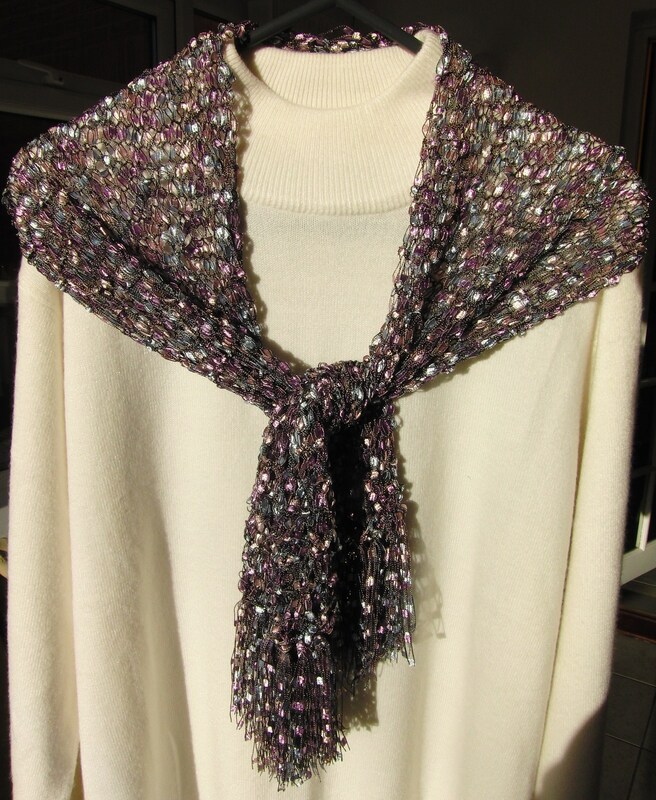 A few weeks ago we took my Mum to Harrogate Knitting and Stitching show and my sister admired the sparkly scarves on display at one of the stands. She would have bought one but we quickly realised they were selling the yarn to make them and not the finished articles. Everyone is so busy at this time of year. She knew there would be no time to knit for herself so we walked away. Then, I had an opportunity 😉 I rushed back to the stall while my Mum and sister were “lost in the crowds” and bought the yarn. 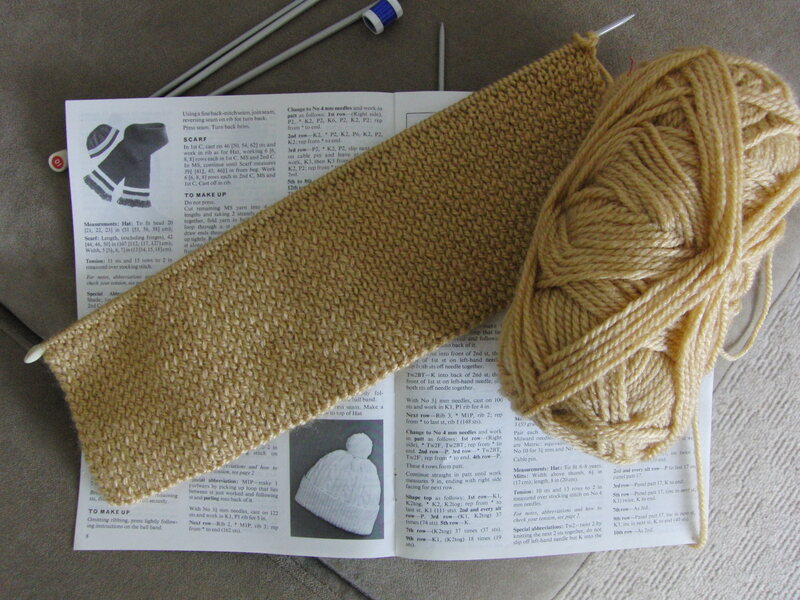 To be honest, I didn’t relish the thought of knitting with it as the texture is quite lumpy bumpy. 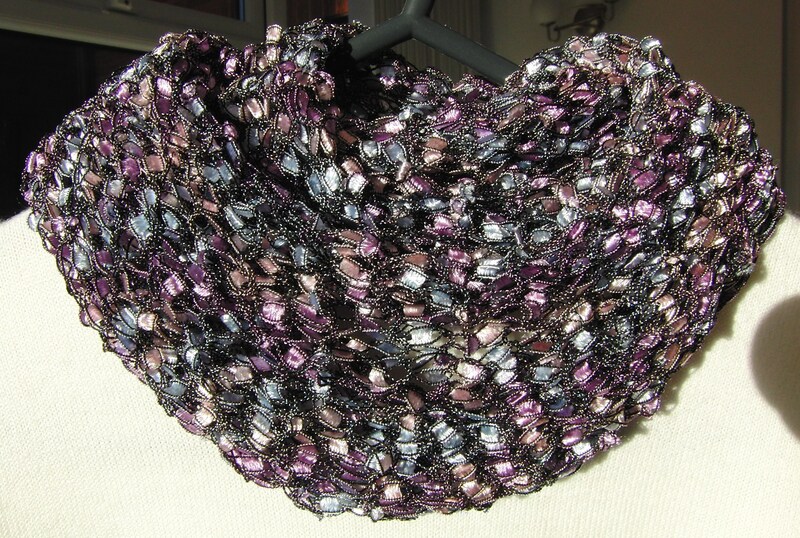 However, it is a lot softer than it looks and it knit up really fast on large needles. I am really pleased with the result. It would have looked better modelled on a black outfit…..but I don’t have one ha-ha! I hope you are all well and still have a little time to craft before the holiday. Lots of you must be holding back secret projects until after Christmas. Looks like it is going to be a very revealing New Year 😀 I can’t wait to see what you have all been up to!! No photographs today folks…..just a plea for help. I know the Autumn is only just beginning but I’m already feeling the cold this year. I’ve decided to buy my first pair of wellies and to knit some socks to wear with them. Well, I’ve looked at lots of web sites but I’m already baffled by all the various yarns. There are so many different wools like merino, alpaca, cashmere, wool etc. and then I need to buy the correct ply. After all of the web browsing, the only things I am certain about is that I want to make multicoloured knee length socks that will wash well in the machine and stay up to my knees inside my wellies. 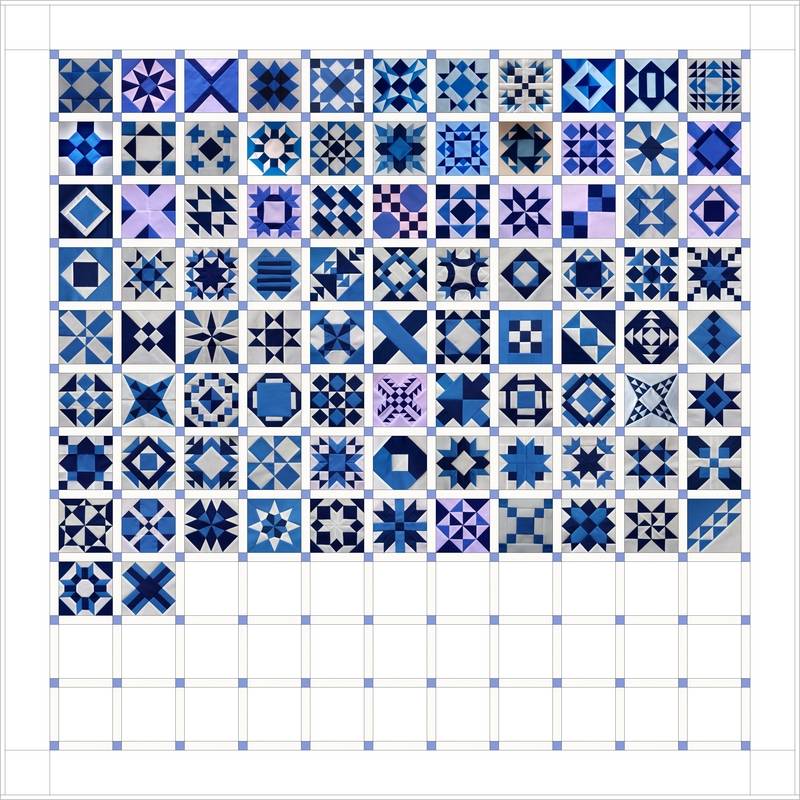 Oh and another thing, the pattern…….this is soooo difficult! I wonder if anyone out there has knitted socks before and can offer advice about yarn and patterns. I am an experienced knitter so I don’t mind complicated patterns and would prefer to have proper heels and toes rather than tube-type socks. Feel free to put a link to your posts in your comments (if you have blogged about your socks before). Come on! Get that quilt finished!! I don’t know about all of you but……my sister who is an amazing crafter is procrastinating! 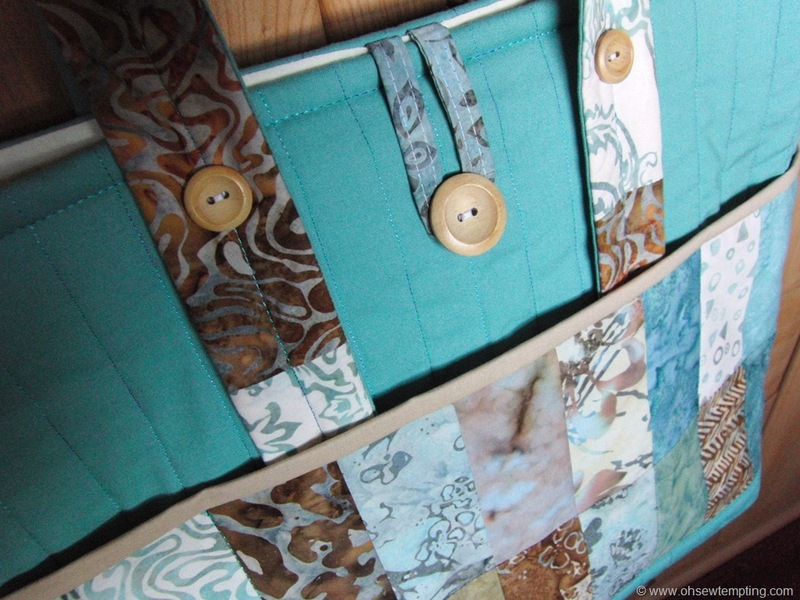 A couple of years ago, she bought a variety of gorgeous shades of blue fabrics and started to make a Trip Around the World Quilt. She claims to have the four quarters of the top ready to sew together and then the top will be finished. I’m still waiting to see the results. 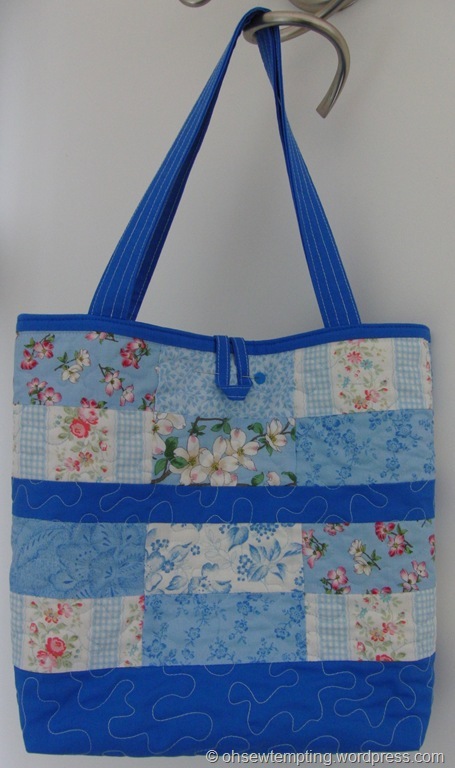 However, in the meantime she has started to make a dress, knitted a beautiful cardigan/jacket and a blanket for her new Granddaughter and also a batik patchwork bag from a kit. The word kit is used very loosely here as the pattern needed to be reworked, there was insufficient fabric in the bag and there was no wadding, tape for the handles or buttons included! OUCH!! 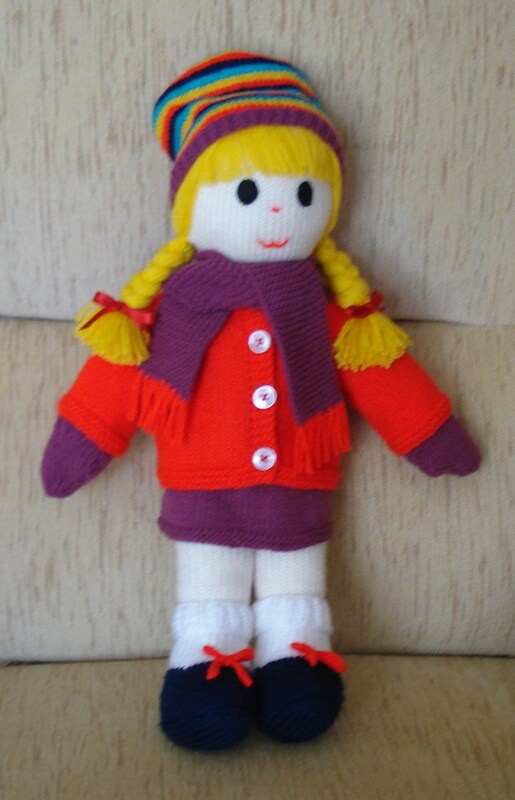 And look what her granddaughter is getting for Christmas 🙂 A lovely knitted dolly. 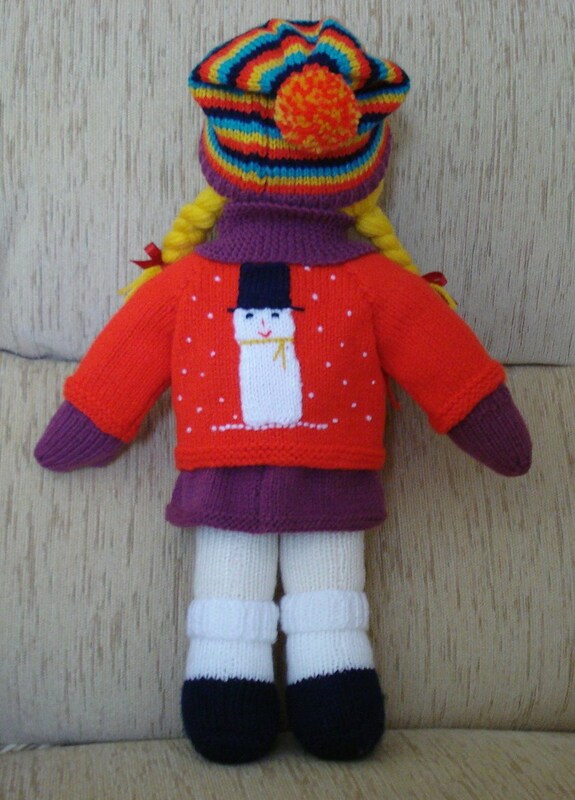 Anyone who has ever made knitted toys will know how much work goes into them…..and the stitching up Ugh! !